​Every homeowner has a favorite part of his or her home. 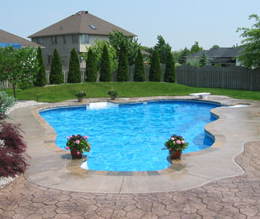 In many homes, it is their pool deck that they are most proud of. It might not be the structure or the design of their patio but all of the hard work they have put into the interior design of it. 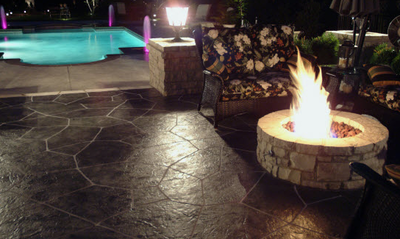 However, you can do less interior design work if you have a beautiful deck. 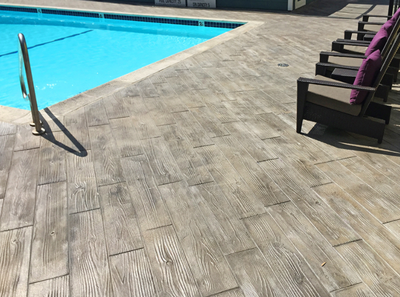 Evanston Stamped Concrete is capable of providing you with a beautiful stamped concrete deck that is attractive without the added expense of decorating it. 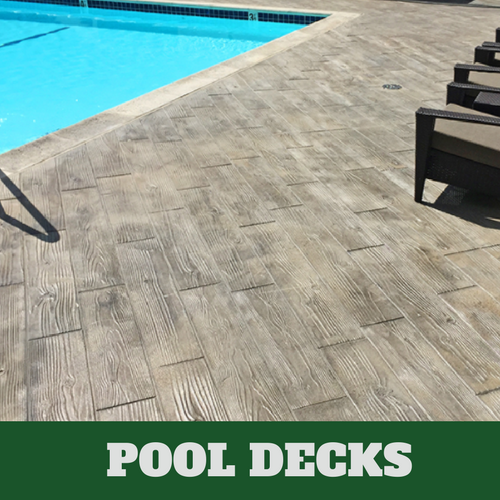 Our contractors have years of experience working with various types of decks, your deck is no different than the hundreds of others that we have worked on. 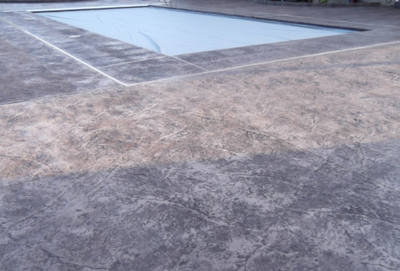 If your pool deck is unsightly and you want to make it look better, give us a call and allow us to show you what we can do to improve the look of your deck. 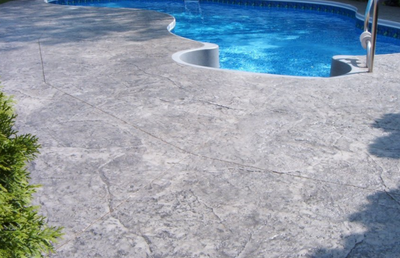 We know that our concrete contractors can make your deck look better than it currently looks. Once you have decided to use our services now you’ll need to determine what will work best for you. 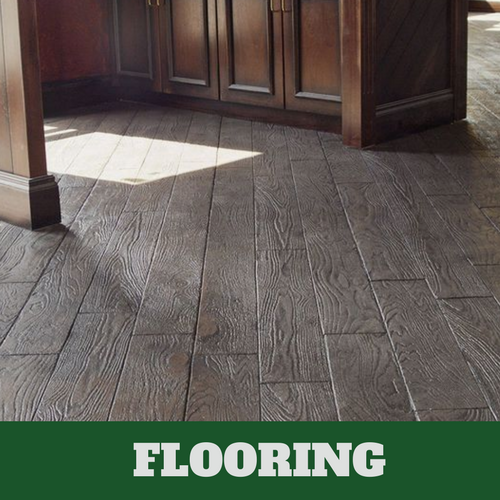 You have tons of options, such as brick, tile, stone, and wood patterns. There are a large variety of these patterns for you to choose from. 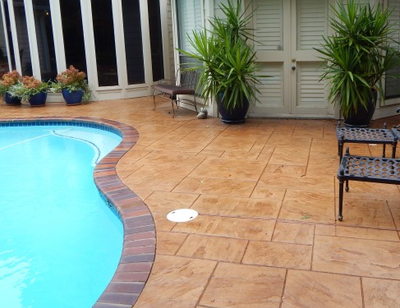 You’ll also be able to choose your deck stain, which can also mimic your favorite material. 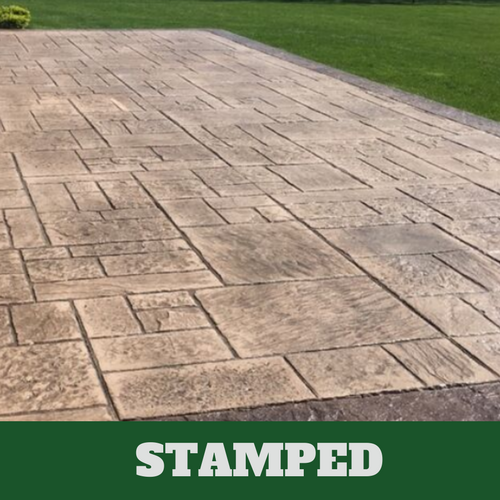 We have it all for you right here at Evanston Stamped Concrete. Contact us today and let us make sure you’re able to get something that will make you proud to show it off. 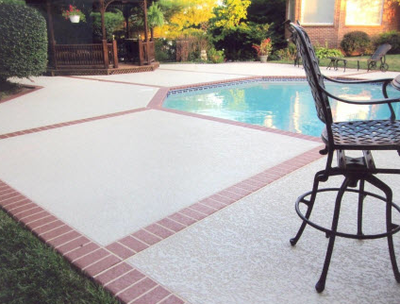 You won't have to worry about the harmful effect of chemicals that are intended for your pool, damaging your deck. 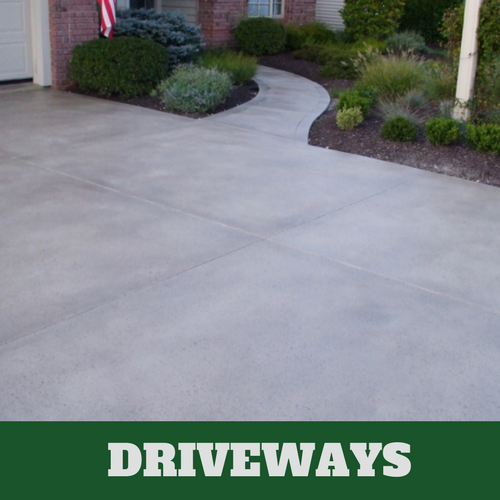 Avoid the possibility of it fading and cracking, as we always seal the stamped concrete. 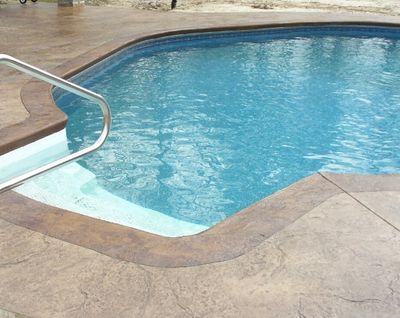 Stamped concrete is a great option for your pool deck because the mixture helps prevent slips and falls. If you are like most people, you want to make sure that the surface doesn't burn the bottom of your feet. We have you covered because we have already thought of this possibility. 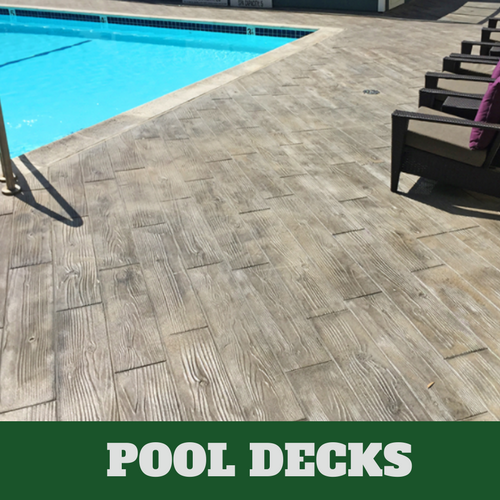 Our contractors will apply a color on the deck, usually a lighter color that can prevent the bottom of your feet from getting too hot. If you are interested in a border, we can offer it to you at a time or limestone. Just give us a call and our associates will be happy to show you your many options. 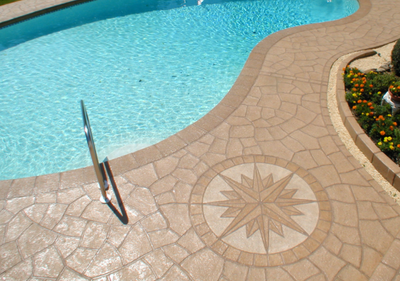 We offer you the quality of service that other stamped concrete service providers do not. You are able to get your money’s worth and more when you turn to us for your service needs. 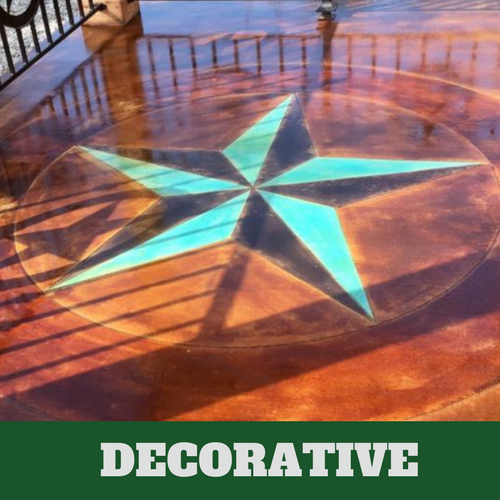 When you want to be certain that you will be able to receive professional services offered at affordable rates, do yourself a favor by contacting Evanston Stamped Concrete where we make this possible. 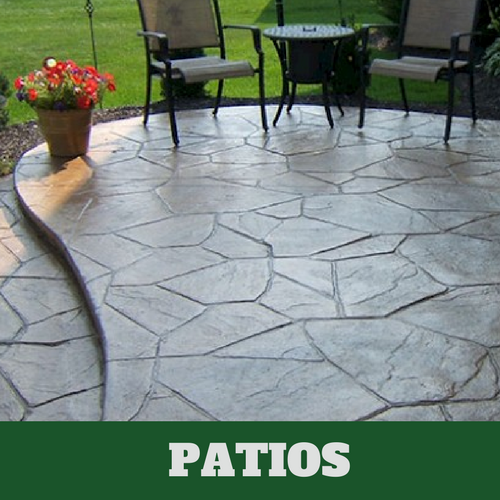 We are the preferred stamped concrete service providers for a reason, we give our customers what they want.